Michael, or Mikey, February is a surfer with a passion for Africa, individuality and investing in the next generation. That he also happens to be the first non-white world tour surfer from South Africa is an achievement he wears lightly, as REBEKAH FUNK discovers. At 25, Michael February leads a life that few people would call normal. The World Surf League (WSL) competitor jets around the globe searching for its best waves, shooting ad campaigns and signing sponsorship deals with international brands. Yet in Mikey – or Mfeb as he’s also affectionately called – you’ll find the most humble of young men. Since setting off to travel the world and chase waves with his board bag in tow at age 12, Mikey has reached career heights associated with seasoned veterans. This year alone, he has qualified as the go-to injury alternative for big names like Kelly Slater and Mick Fanning, landing himself a full-time spot on the sought-after WSL Championship Tour. It’s taken seven years. Here in South Africa, the success he’s achieved after such a long road is celebrated all the more. 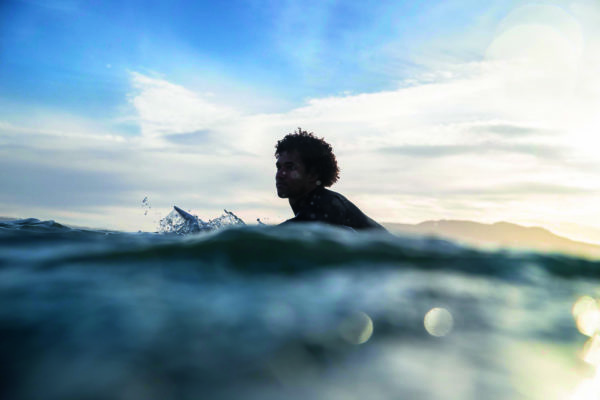 As the country’s first non-white world tour surfer, Mikey has come to symbolise change and progress in a sport that’s often been criticised as being too homogeneous. 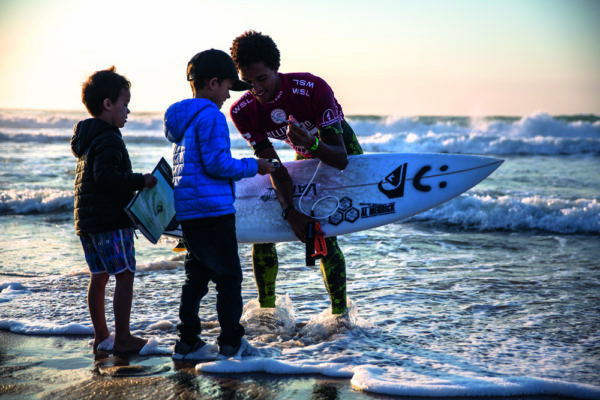 While embracing his unique position as a role model for youngsters – irrespective of colour – this young surfer is the first to point out that his success has come from the sacrifices made by his family, a dose of good fortune and a whole lot of hard work. His dad, Isaac, was obsessed with surfing and passed his passion on to his impressionable son. “He’d take me to the local surf shop on the weekends before I even started surfing and showed me all the surf movies and magazines,” recalls Mikey. 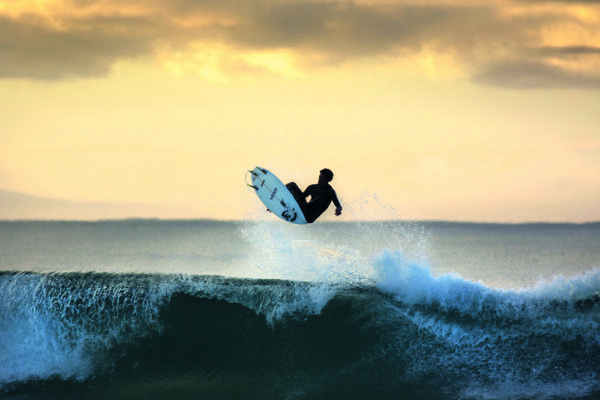 Mikey entered his first surf competition at the tender age of eight. Even as a kid, he “just wanted one day to be on the World Tour”. His parents must have seen his willpower and drive as they moved the whole family to live in Kommetjie to support his progress. “It was quite a big thing for them to do for me,” he admits. 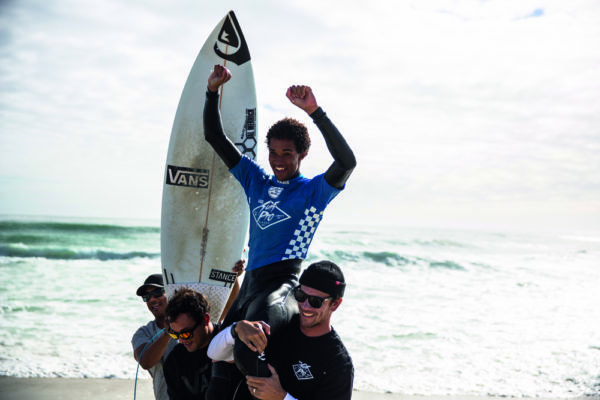 But the results initially weren’t quite what he was hoping for: Mikey was relegated to the Grom Games in Port Elizabeth; a consolation competition of sorts, for those who hadn’t made their provincial teams. Yet, he pushed on from Grom Games, made the provincial team, became a national champion and started stepping onto every winner’s podium, both locally and internationally. He earned it. Having grown from a gangly child with wild arms and elastic movements into an impressive young talent who does tricks with ‘steeze’ (style and ease), Mikey has always considered his surfing to be more about having fun and expressing himself on the ocean’s unpredictable crests, troughs and barrels than about winning points from the competition judges. “You want to make your own mark in surfing,” he says. “Creative surfing might not always win but it makes more of an impact.” And as long as he can keep on improving, he adds, he’ll keep on riding each unpredictable wave. “Looking back, there were a lot of things which I put emphasis on that felt like a huge deal: losing an event at a young age or something like that. Now I think the most important thing is doing what you can to improve. Every little mistake you make along the way is just part of what helps you build your own self. Learn from those lessons.” The words are self-assured and confident from one so young but one who’s learnt life, like the ocean, is not always what you’d expect. Burnett Wood Surfboards Build your own board at Burnett Wood Surfboards. These guys offer three- to six-day courses in Scarborough, where you can get your hands dirty making your custom board from scratch. Learn the theoretical and practical considerations of building a wooden surfboard and you don’t even need any do-it-yourself skills. The classes are small, comprising just two to four students, and the cost ranges between R8 800 and R11 200 (all-inclusive), depending on the length of your desired board and the quality of wood you choose. Courses are offered throughout the year (typically once a month) or you can opt for a one-on-one class to suit your schedule. Ferral Founded in 1985 by shaper Anton Butler, Ferral is all about individuality. Anton’s small team hand-shape, tint and laminate custom surfboards, from the classic longboard (suitable for beginner to advanced surfers) to six guns and pistol whips (for intermediates and pros). Ferral is recognised as one of South Africa’s leading manufacturers, particularly when it comes to quality resin tints and high-gloss finishes. There are few designs the team can’t bring to life – from glitter to marble to wood! Visit the Ferral team in their Observatory workshop at 178 Lower Main Road to see Anton and his shapers in action, or to order your custom board. Out of the water, Mikey does his best to pay the blessing forward. He is an ambassador and fundraiser for Waves for Change, a community surf therapy project that encourages young people from statistically violent areas to take up surfing rather than become gangsters. The non-profit organisation works to combat kids’ exposure to violence and the destructive patterns of peer pressure. Children who are confronted with trauma and aggression suffer acute emotional and psychological stress. This in turn exacerbates behavioural and learning difficulties and increases their exclusion from society later in life. By surfing, many of these children can sidestep violence in their communities and change their futures. It’s a cause that Mikey believes in deeply, investing both time and money in it. 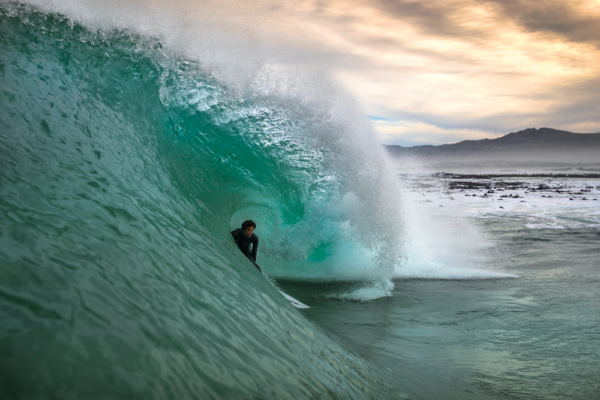 In 2015, he released a 120-page book For the Love, which featured Mzansi’s best surf photographers. 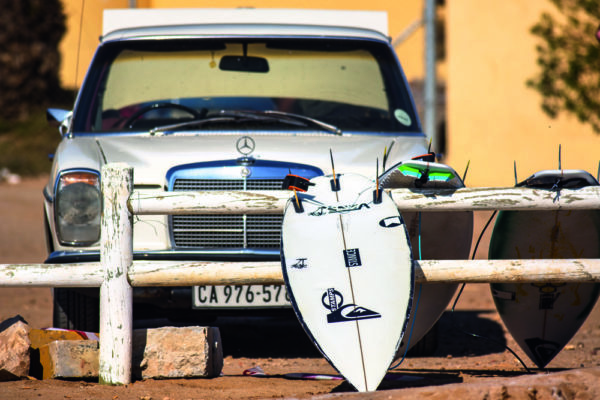 Proceeds from the sales went into funding Waves for Change’s surf programmes for youngsters from the townships.